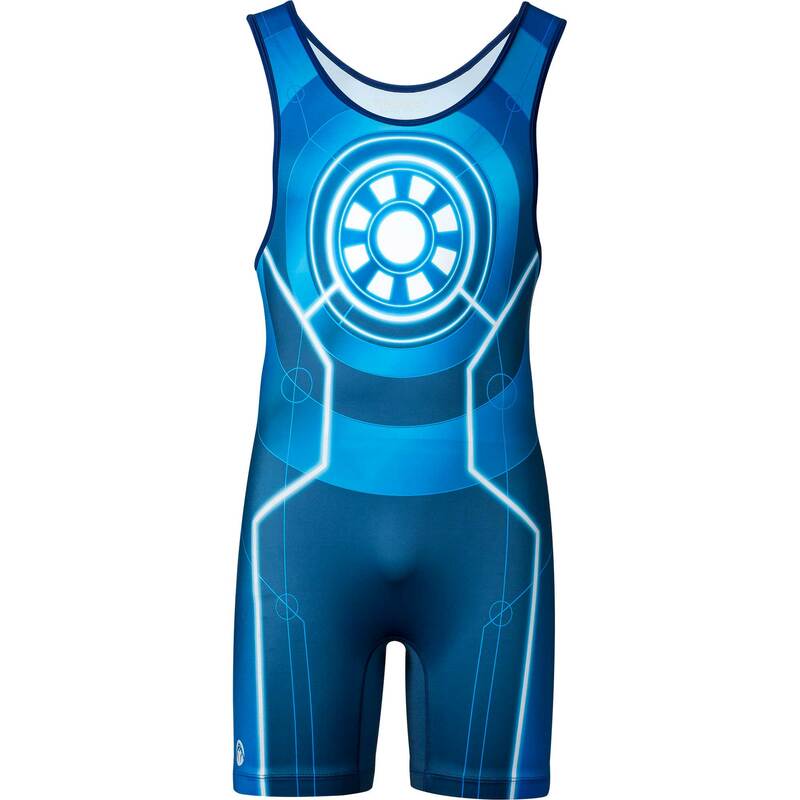 Reactor Singlet: The singlet that will give you the ultimate power on the mat! WrestlingMart presents the Iron Man inspired killer designed singlet, The Reactor. 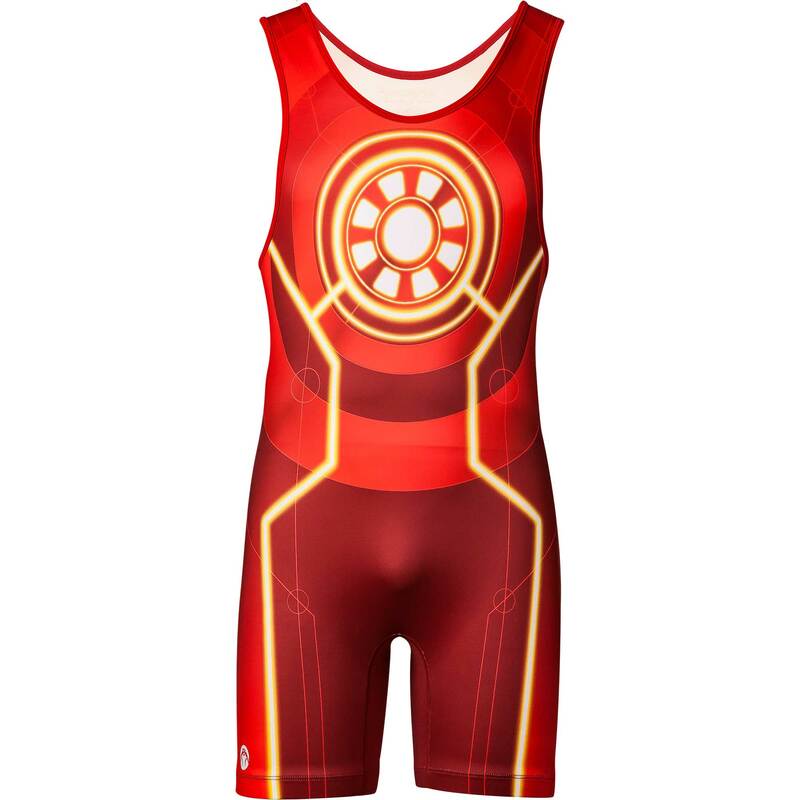 The reactor of course being the part of the armored suit Tony Stark invented to give him unrivaled power in the seemingly indestructible suit, as well as keep him alive! 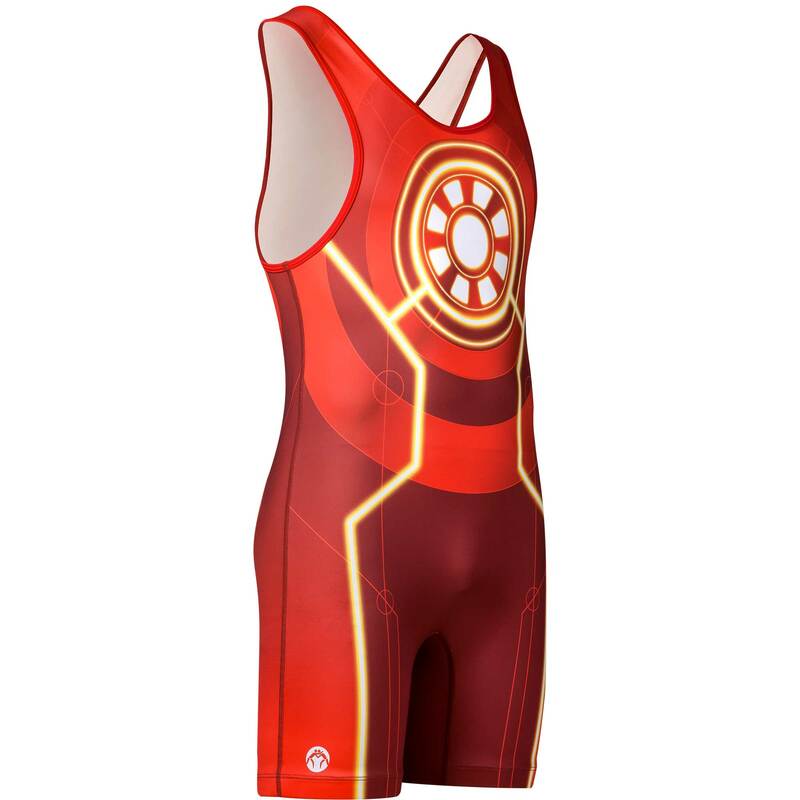 The reactor protects him just as Iron Man protects the world from forces of evil. 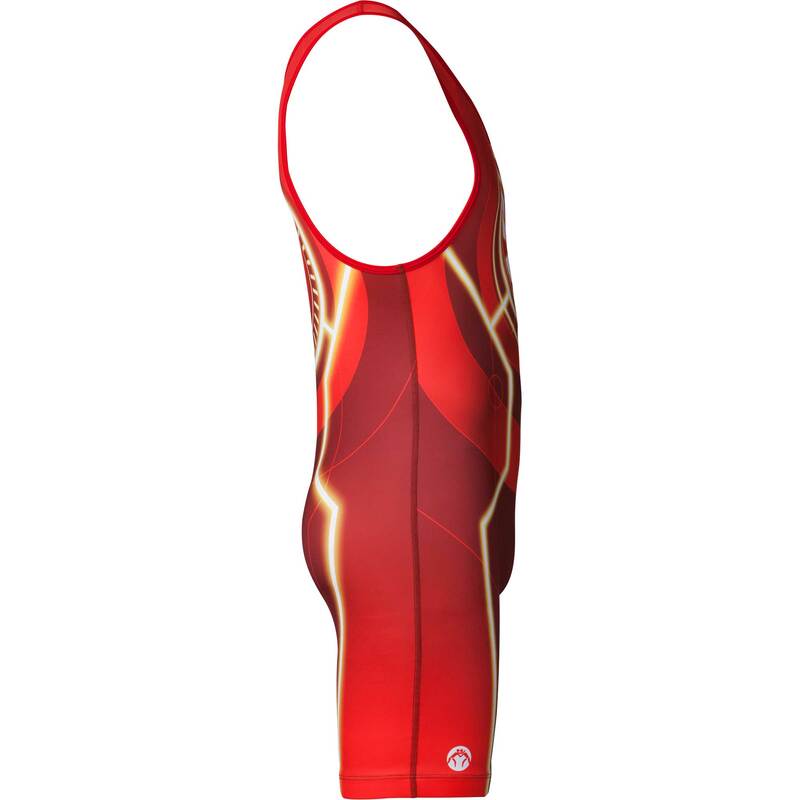 The same can be said for this singlet; when you put it on, you will be energized with the power to take down your opponent at will. Wrestling is all about reactions; don’t let yours be slower than the one opposing you. 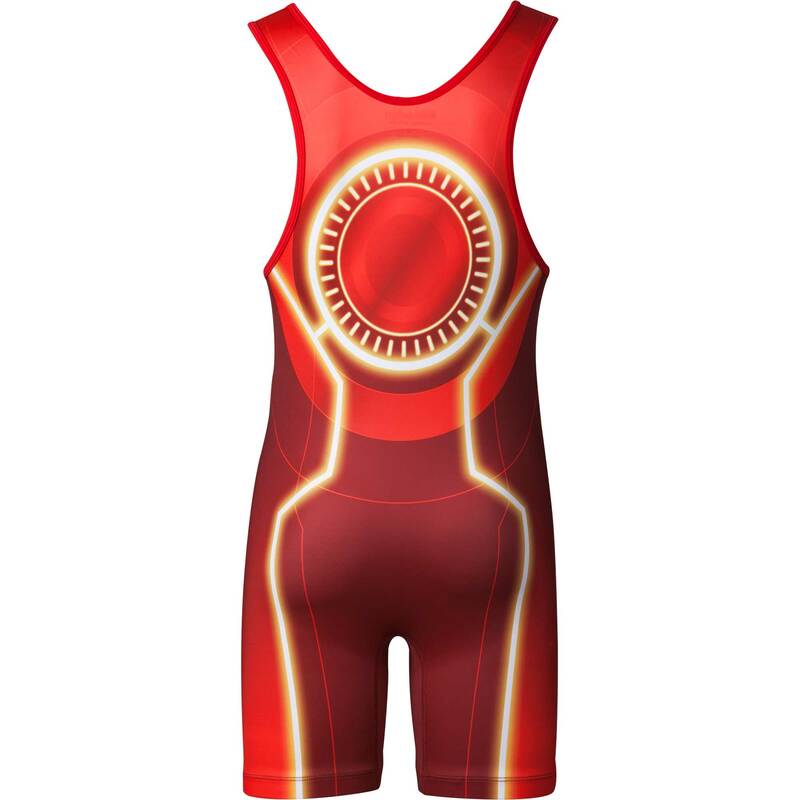 We have taken the time to design the most durable, form-fitting, temperature-controlling, and stylish singlet on the market. 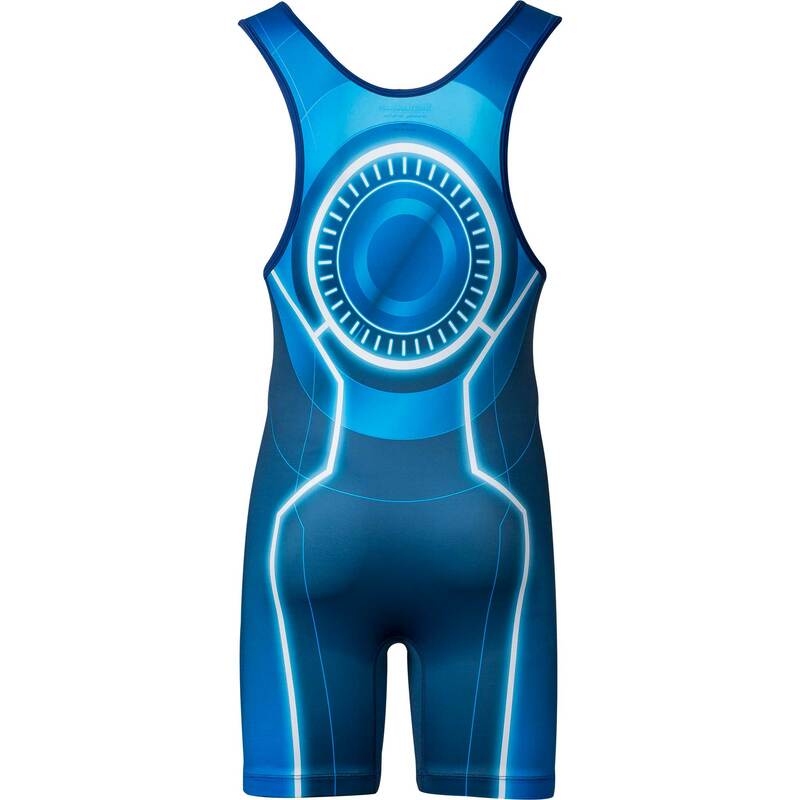 Much like Tony Stark designed his Iron Man suit. With the sublimated graphics, these indestructible designs won’t fade or diminish when stretched over your body. The rubber elastic leg grips have been sewn into the fabric for maximum comfort. 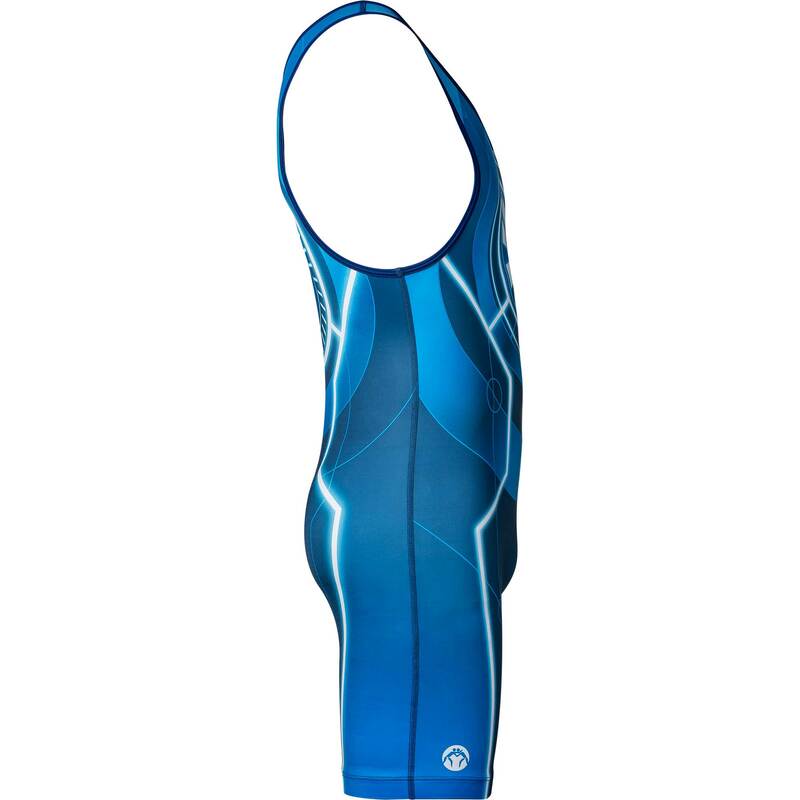 The seams are flatlock stitched to provide a comfortable feel on the inside as well as keeping the singlet durable. 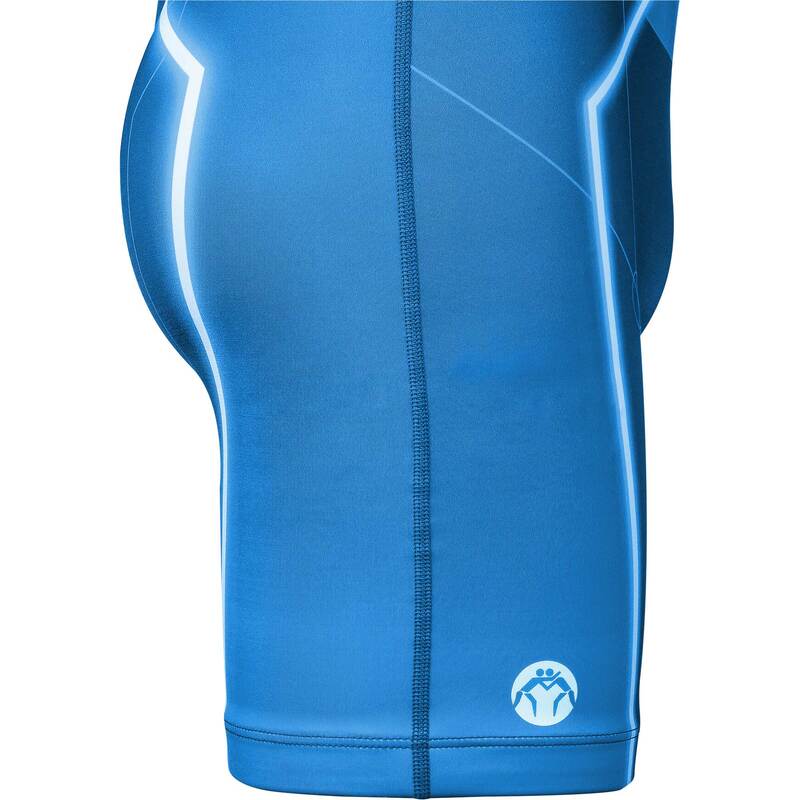 And don’t forget the moisture-wicking Lycra material to keep you cool and dry for those long tournaments!